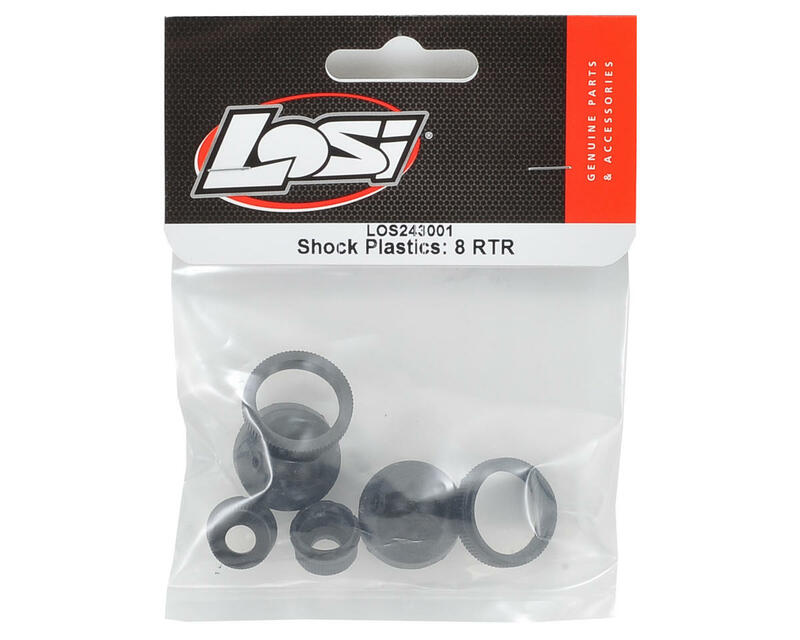 This is a replacement Losi Shock Plastic Parts Set. 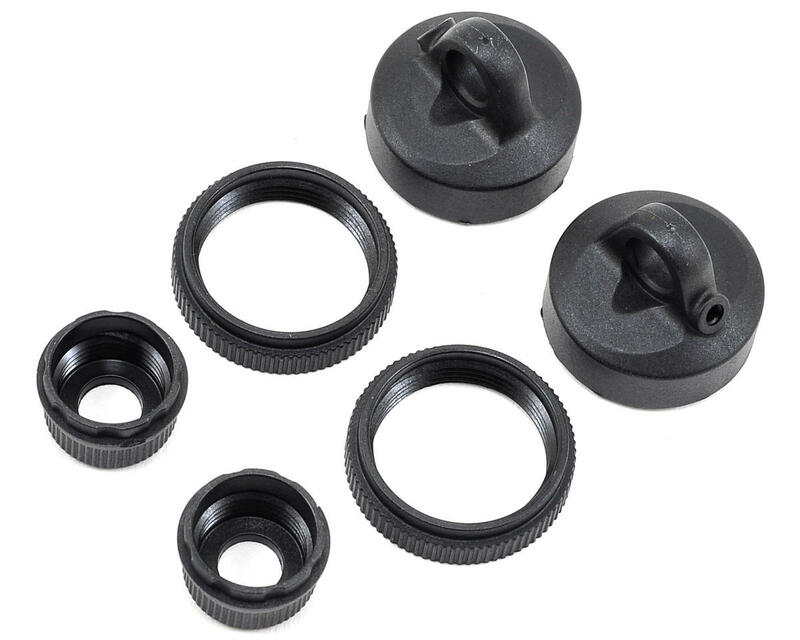 This set includes the top and bottom caps and spring collar. This set includes parts for two shocks.